I've been using size 1 & 2 apple cheeks for some time now and absolutely love the brand but the one size option is amazing. We never have issues with leaks or improper fit. And they have such a nice trim fit. Of course adorable print options too! They are our favourite diaper! I am so pleased that applecheeks released a one-size option. Although I still use the sized system, the one-size is great for the in between phase from size 1 and 2, and it is also a bit more trim. Paired with a 3 ply or even a prefold, this diaper is excellent! Despite the hype, apple cheeks really aren't my favorite! The fit around the legs always seems to result in leaks if not changed much more frequently than my other diapers. 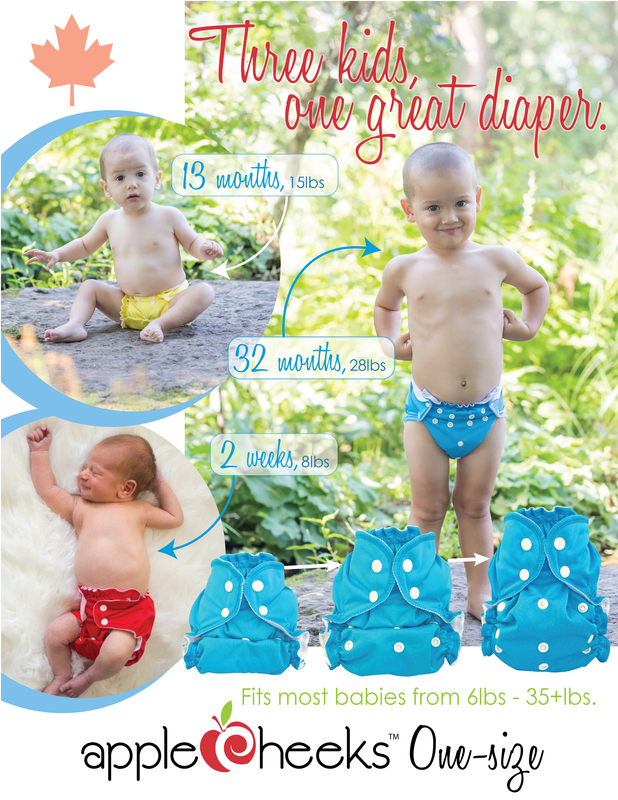 I like the one size option, as the size 1 diapers definitely won't fit my chunky monkey very long. 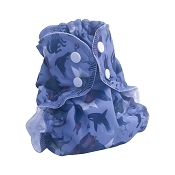 I love the design of this diaper. Front and back raffles to keep the mess. I have a boy so the front raffles keep him from getting wet in the tummy. I use it as a cover so I just lay inserts on top. But I figured out that I can tug in some inserts in the pocket and close the snaps to make it a training pants in the future. I only like the one size because sized ones never fit my baby. and it has better bum coverage. It does not look at good as the sized ones though but they still look cute! I noticed right away that my newborn liked the soft fleece lining in these covers, compared to our prefolds and regular PUL covers. On the smallest rise setting, this cover fits smaller than the Size 1 AppleCheeks envelop cover. I would buy a million of these if they were only available in more colors! 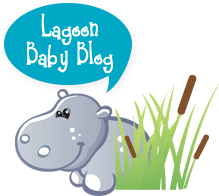 I've had no problems with wicking around the legs (mine is not a chunky baby), even when used as a cover over fluffy prefolds instead of envelop/pocket diaper style. 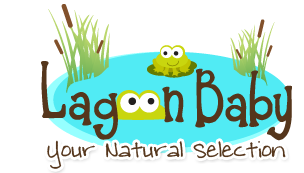 Elastic is super gentle on baby skin and doesn't leave marks anywhere. I find it to be very similar to amp, but the problem I have with this cover is the opening. it placement is awkward and can be gross with a bm. I have size 1 and 2 applecheeks and now the one size and i must say i prefer the one size by far. I can get a way better fit now, the fit was still good on the others but its just easier for me with the one size. 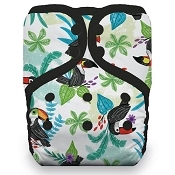 So easy for me to just lay the insert inside and not stuff it when in a hurry and to then use the shell as a cover for repeat uses (such as when you regretably only buy one 150 diaper and you need to show it off all day long!). I still am not a huge fan of the pocket opening being in the middle of the diaper aka the poop zone however it is a minor issue for me. definetly would recommend this diaper. 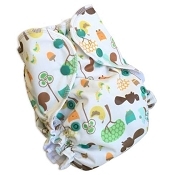 I have used Applecheeks diapers since my son was born and they are amazing. I love how they fit and how easy they are to use. Let's not forget the adorable color selection!